Not freestanding. Creates "U" workstation with Bridge and Credenza; creates "L" workstation with Return. A modular management solution that combines stylish profiles and elegant accents with top-grade fit and finish. Abrasion- and stain-resistant high-pressure laminate with elegant hardwood trim. Cord routing notch in brace panel. A modular management solution that combines stylish profiles and elegant accents with top-grade fit and finish. Abrasion- and stain-resistant high-pressure laminate with elegant hardwood trim. Cord routing notch in brace panel. Not freestanding. 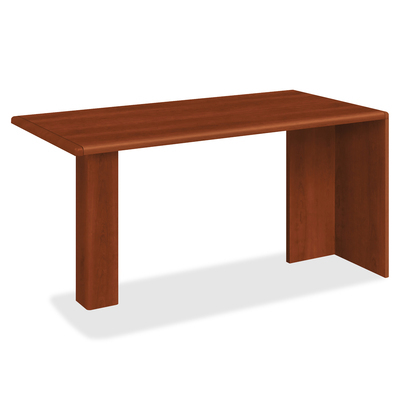 Creates "U" workstation with Bridge and Credenza; creates "L" workstation with Return.